"White Paper: Managing Digital data hoarders"
More and more enterprises are faced with the complex challenge of managing the exponential data growth. Digital data hoarding is one of the biggest IT concerns for businesses globally. The plethora of new and improved tools for capturing, generating, analyzing and otherwise leveraging stored data has resulted in explosive data growth—and managing that data growth is a primary challenge for IT organizations in all industries. 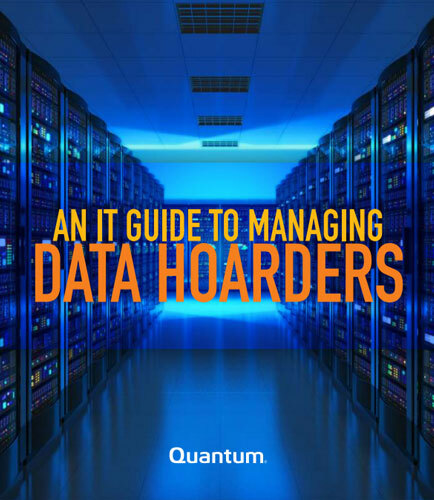 This whitepaper helps you develop a deeper appreciation for the dynamics of data hoarding. In this whitepaper you will learn why data hoarders behave as they do, and gain insights into strategies and tools you can use to meet their needs—all while adhering to your budget requirements. A data warehouse (DW) is a central repository or central database of numerous corporate information and data derived from operational systems and external data sources. In computing, a data warehouse, also known as an enterprise data warehouse (EDW), is a system used for data analysis. It is considered as a core component of business intelligence.